Dallas Fuel has released two more members of its staff. In an announcement earlier today, the team stated that one of their players, as well as their head coach, would be leaving the team effective immediately. Overwatch’s Retribution game mode was partly inspired by Left for Dead. Korean DPS player Dong-jun ‘Rascal’ Kim has left the team, as Dallas say “his commitment to the team did not meet our expectations.” The team also stated that Rascal, who joined the team earlier in the season from London Spitfire, showed “an unwillingness to communicate with the team while playing in recent matches.” Rascal played for the team in both stages two and three. Head coach Kyle ‘KyKy’ Souder is also leaving the team, after serving as head coach throughout the Overwatch League’s first season. A statement from Dallas says that while Souder “coached our team through a great run and a Contenders championship,” “we have not replicated that championship level of success in the Overwatch League this season,” and reference a need for change to help the team move forward. Souder has been replaced by assistant coach Emanuel ‘Peak’ Uzoni as Interim Head Coach, and Dallas have also signed Kang ‘Vol’Jin’ Min-Gyu to their coaching staff. 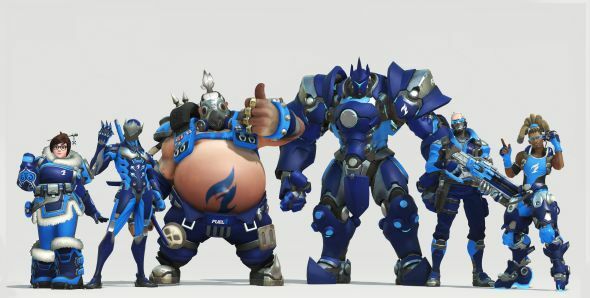 Dallas Fuel have had a turbulent few weeks – after former DPS xQc was released from the team for player misconduct, his replacement, OGE, was suspended for the rest of stage two for account boosting. That makes Rascal the third player to leave the team in just over a month, which probably doesn’t do wonders for team morale.